Best Answer: You can expect up to 50 to 75 percent of additional battery from each case, which depends on what you end up doing on your iPhone. For the iPhone XS, the Smart Battery Case adds 33 hours of talk time, 21 hours of typical Internet use, and 25 hours of video playback. The XS Max version of the Smart Battery Case adds 37 hours of talk time, 20 hours of Internet usage, and 25 hours of video playback. iPhone XR users can squeeze up to 39 hours of talk time, 22 hours Internet use, and 27 hours of video playback. No matter which case you go with, you're bound to get through the entire day without having to plug in. How does Apple get those numbers for battery life? 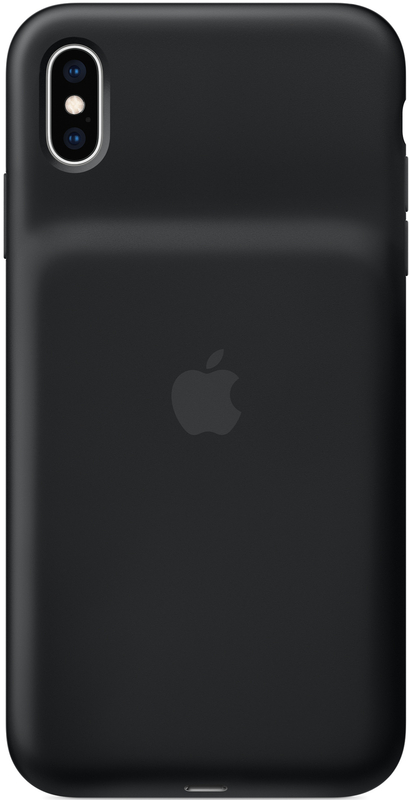 Apple tested these new Smart Battery cases back in November 2018 using the proper iPhone models, battery case units, and preproduction software. All of the talk tests were conducted over Voice over LTE (VoLTE) network. They did the internet tests over LTE and Wi-Fi networks with a dedicated web server, browsing snapshot versions of 20 popular websites and getting mail at a rate of once per hour. The video playback tests were done with repeated playback of a 2-hour and 23-minute movie from iTunes. All of the settings on the iPhones were set at the default, with the following exceptions: Bluetooth paired with headphones and Wi-Fi associated with a network for all except Internet LTE test. Wi-Fi was also set to Ask to Join Networks, and Auto-Brightness and True Tone were off during the testing phase. All battery claims are dependent on the user's network configurations and many other factors, so your mileage may vary here. So how do these new Smart Battery Cases work? The Smart Battery Cases feature a soft, flexible lining on the inside to protect your iPhone from scratches and scuffs. The exterior features a silky, soft-touch silicone material that gives you extra grip. The elastomer hinge makes it easy to get your phone into the case as well as get it out when needed. 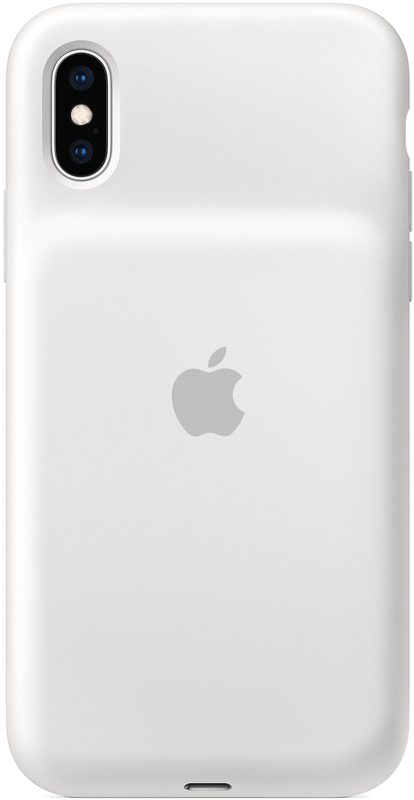 Apple's new Smart Battery Cases are also Qi-certified chargers. This means you can charge them up wirelessly on any Qi-compatible charger. It also supports Fast Charging with a Lightning to USB-C cable and a compatible power adapter (Apple 18W, 29W, 30W, 61W, or 87W USB-C Power Adapter or a comparable third-party adapter that supports USB Power Delivery). You can also charge it via the old-fashioned way with Lightning-to-USB. 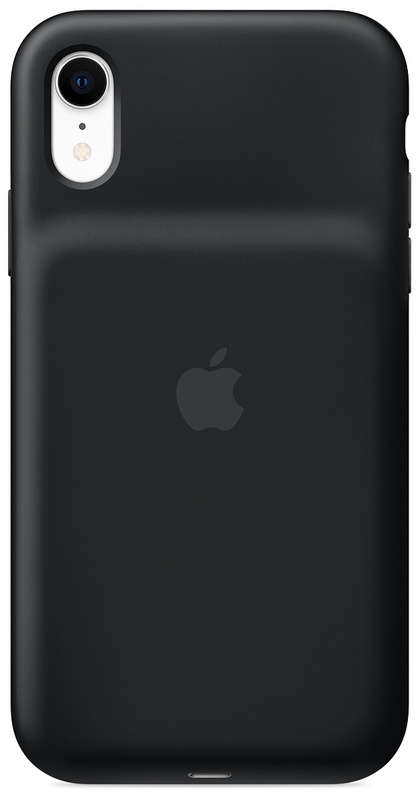 When you charge your iPhone in the Smart Battery Case, the iPhone will usually have priority when normal or fast charging. Once the iPhone reaches about 80 percent charged, the charging is split and allocated to the Smart Battery Case instead. However, if you use a power adapter that can provide more power, such as a MacBook Pro USB-C power adapter, then it can fast charge both the iPhone and Smart Battery Case at the same time. What has priority depends on how much power is being taken in. You can check on the battery levels with the intelligent battery status display in the iPhone lock screen and Notification Center. The iPhone XS is perfect in size, and this Smart Battery Case complements it so well. Enjoy more talk time, Internet browsing, and video playback with this soft-touch silicone battery case. For those who like their gigantic phones, you can now extend the battery life of your iPhone XS Max even further. The Smart Battery Case should give you enough juice to last for days without needing to charge up. While the iPhone XR also has great battery life, you can now extend it even further with the Smart Battery Case. We just wish it came in colors to match the iPhone XR.